Since last week when I wrote my first blog I have been thinking about the best way to do it, and have decided to write it on Sundays. This is the day, after going to church, that, universally I think, needs filling in a bit if you are not in your first youth. I know people work in their gardens, or play bridge, or do the ironing, but still time seems to have a slower pace on Sundays, so it seems a good day for me to write my blog. I will write the reason for the poem first, as I told you last week, and then write the poem out for you to read. Then the musing. This could be anything but I will try to think of something that I find amusing or extraordinary, or perhaps, even sad, although there is so much sadness in the world today, perhaps we all need cheering up instead. But we shall see. 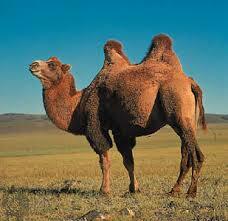 My poem today is called "Camel". I had been visiting a wildlife park near to where I live with the grand children. We had looked at everything, enjoyed the monkeys and merecats, the rabbits and the guinea pigs, then we came upon the field with the camels in it. And they all looked so miserable that I felt miserable looking at them. This is the poem. my hooves cracked, hump matted. But I want her to know that this is not me. I weep for the want of him. but something glistens on her cheek. Thinking of the Greek crisis I remembered a quotation from Dickens. It was Mr. Micawber from David Copperfield who said: "Annual income twenty pound, annual expenditure nineteen pounds, nineteen shillings and sixpence, result happiness. Annual income twenty pounds, annual expenditure twenty pounds, ought and sixpence, result misery". Perhaps the Greeks ought to read more Dickens.